Fruity and sweet, this smoothie is reminiscent of the flavors of chocolate fondue. 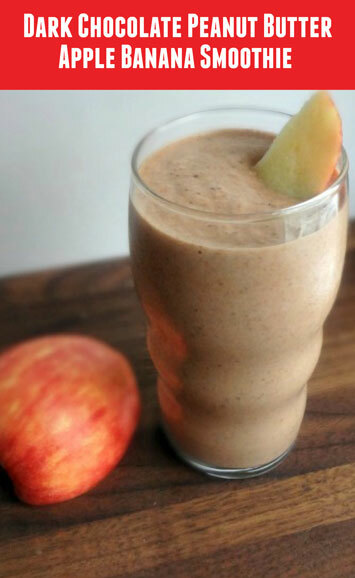 A thick, refreshing drink with decadent flavors of chocolate and peanut butter and a healthy boost from the banana and apple. And, bonus, there is added protein via the Greek yogurt and peanut butter! It’s the perfect way to start your day or your work-out! Put all the ingredients in a blender. Cover with the lid and blend until smooth. Pour into a glass and enjoy immediately! The post Dark Chocolate Peanut Butter Apple Banana Smoothie appeared first on - Peanut Butter & Co. Recipe Blog.